The kidnapping of over 200 Nigerian girls from their school by the Islamist Group Boko Haram has shocked the world. #Bringbackourgirls has become a Twitter phenomenon, with over 3.3 million tweets from across the planet. Celebrities have come out in support of the campaign, along with global leaders and their spouses. However, rather than reflect upon the manifest evils of such an action as a Christian, I have asked three Muslim religious leaders and experts in Islamic jurisprudence from Lebanon to share their reactions. The group responsible for the kidnappings, officially Jamā’at ahl as-sunnah li-d-da’wa wa-l-jihād (“The Congregation of the People of Tradition for Proselytism and Jihad”), is known commonly as Boko Haram. Although the etymology is disputed, the meaning of Boko Haram is typically understood to suggest that Western education is sinful – hence the attacks on schools in Nigeria. Boko Haram, as do certain other Islamist groups, claim that their actions are Islamic, inspired by a particular interpretation of the Qur’an. I am not qualified to comment on the degree to which their assertions are held within the Islamic world; however, what is clear to me is that there is a voice all too commonly ignored which totally rejects the basis upon which groups like Boko Haram operate. 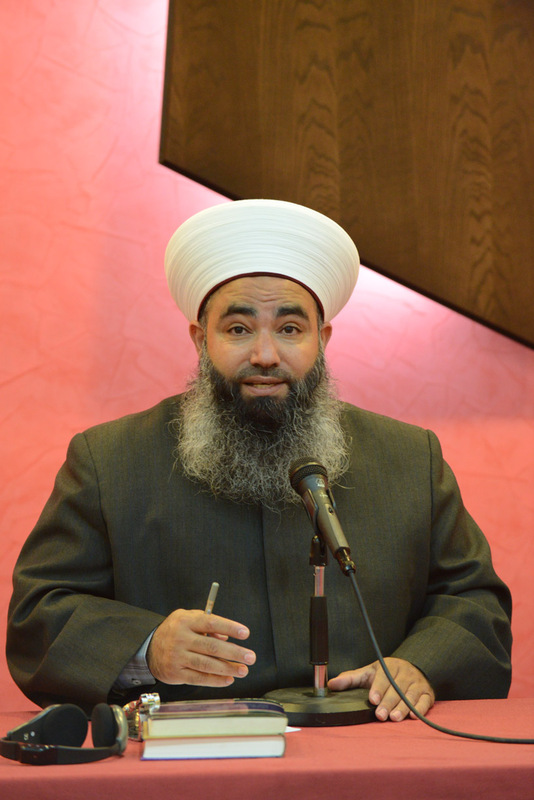 Sheikh Muhammad Abu Zaid, a self-described salafi, is the Chairman of the Sunni court of Saida [Sidon] in Lebanon. He is an expert in Islamic jurisprudence, as well as a leader of a local mosque. A common rejoinder in the West is that Muslims never speak out against the actions of their more violent co-religionists, (though Muslims often level the same accusation against Christians as well). Living in Lebanon, however, I know first-hand that such voices exist and are in-fact common. Given the sheer amount of misinformation, I feel it is therefore my Christian duty to provide a platform for such voices to be heard, allowing Muslims to speak for themselves and in their own words. I am grateful to Sheikh Muhammad Abu Zaid, Sheikh Muhammad Nokkari and Sheik Fouad Khreis for taking the time to answer some of my questions concerning Boko Haram and their beliefs and practices. These men are each religiously devout Muslim leaders from Lebanon, well versed in Islamic law and tradition. They provide an authoritative perspective from within specific mainstream Islamic communities (both Sunni and Shi‘a) – a perspective that is all too often not given the attention it deserves. Sheikh Fouad Khreis is the Religious Pastorship Manager for the Mabarrat Association, a Shi‘a social enterprise managing hostels and restaurants whose profits go to schools and orphanages. I began by asking the sheikhs for their initial reactions to the recent kidnappings in Nigeria by the Islamist group Boko Haram. In response, each cleric sought to confront the beliefs and practices of Boko Haram with Quranic and Islamic sources. As a judge I need to be sure of the facts. Once the circumstances surrounding the situation have been confirmed [i.e. not simply based on uncorroborated media reporting], I affirm that as Muslim leaders and as the Muslim community we are completely and wholeheartedly against this action. An authentic Islam, based on a true reading of the Qur’an, inspires us. We oppose what the group Boko Haram has done in the name of Islam. 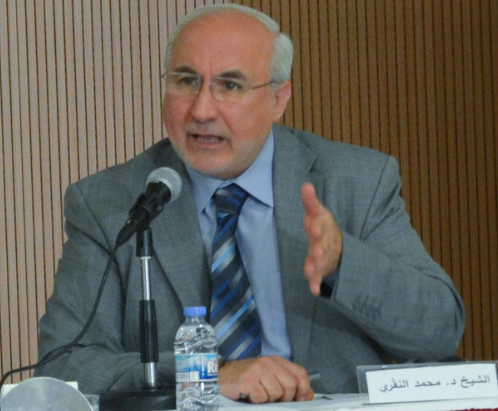 Sheikh Muhammad Nokkari is Director of the Islamic-Christian Forum for Businessmen in Lebanon, head of the Sunni Court in Chtaura, former General Director of Dar-al-Fatwa, Lebanon’s top Sunni religious authority, and professor at St. Joseph University, Lebanon. There is no excuse for kidnapping in Islam. The Quran teaches against kidnapping innocent people. The operation itself is refused. You will find no Islamic reference or teaching in Islam that supports this. I am not surprised, though, because this is not the first time this group has done such a horrific action. They are against all the teachings of Islam. We can only confront them with discernment and fight against them, especially since they are acting in the name of Islam, because the truth is that they are working against Islam, ruining its reputation. It is believed that Boko Haram may intend to sell these girls into slavery and forced marriage. Again, all three sheikhs spoke out clearly and in one voice against slavery, stating that Islam has worked towards ending slavery. In pre-Islamic Arabian history we heard about slaves being kept. However Muslims are commanded to set slaves free. How can they then enslave young girls in the name of Islam? Again, we totally reject their actions as anti-Islamic! encourages Muslims to donate money in order that slaves [or bonded laborers] might be freed, thus seeking the abolition of slavery where it exists. To Sheikh Khreis it seems clear that the actions of Boko Haram oppose rather than support significant elements of the Islamic tradition. And if they plan to sell these girls into marriage, again they go against our beliefs as Muslims. Marriage is a matter of personal choice. In some societies the father of a daughter can interfere and give guidance. But nowhere do we read or accept that a stranger can take a girl and force her to be married to someone. These people are claiming a right they do not have, and may even go as far as using this ‘right’ that is not theirs. When they do this in the name of Islam they hurt our Muslim community and go against our authentic religion. Regarding education, the message was once again very clear. According to those I asked, education is an obligation within Islam, for both boys and girls. I say education for girls and boys is very essential and there is no religious or non-religious excuse to stop girls from learning or to tell a girl that she should only stay at home. I also saw that they veiled all the girls in the video. Many of these girls are Christians who [may have] converted to Islam. It is important to remember that in Islam we cannot force anyone to become Muslim, and since they are under age we cannot say they made this decision on their own. The Qur’an clearly states that “There is no compulsion in religion” [Al-Baqra, 256]. Pragmatically, Sheikh Khreis went on to say that the community would loose half of its power and influence if women were not educated. Muhammad Abu Zaid highlighted the first verse of the Holy Qur’an where Muslims are told to read and to learn. “Read. Read in the name of thy Lord who created; [He] created the human being from a blood clot. Read in the name of thy Lord who taught by the pen: [He] taught the human being what he did not know.” (96: 1-5). “Are those who have knowledge equal to those who do not have knowledge?!”(39:9). He went on to ask why then should anyone who claims to be Muslim seek to prevent our children from learning? If you are against the teachings of a particular school, fine! But open another school and teach what you want to teach there. But don’t stop children from learning! Seeking knowledge is a duty of every Muslim. Furthermore, Sheikh Khreis made it clear that from his perspective Islam gives to women a role of leadership and education. He further accuses Boko Haram of trying to bring us back to the dark ages, giving Islam a bad reputation around the world. He encourages us to get to know Islam from its sources and not through such movements and extremist groups in Syria, Iraq or Nigeria, groups which are fighting and killing one another! He suggests it might be helpful to look to modern moderate sources, such as the teachings of Mohammad Hussein Fadlullah! I believe these movements [such as Boko Haram and Al Qaida] are from outside Islam and did not emerge from our Islamic traditions, cultures and communities. These are groups that want to occupy the Arab world. This has become more prevalent ever since the fall of the Soviet Union. Islam has become the new enemy to many in the West. However this is not justified. I want to tell the West, Islam is innocent from such claims, and I hope there would be a Christian-Muslim initiative to fight against such movements. It is true that these three voices may not reflect the totality of Islamic belief and practice. It is also true that there are Muslims who would use the Quran to justify actions that are violent and destructive towards those both within and beyond the Muslim community, as Christians have often done as well. To say something is or is not Islamic is not as easy as some would make it out to be – for in reality such decisions are often the result of a particular hermeneutical approach. In the same way that it may be easy to say that Islam is a violent and oppressive religion – and justify this position with proof-texts from the Quran, it is as easy to suggest that Islam as a whole is peace-loving and against such violent acts as have been carried out by extremist groups around the world. 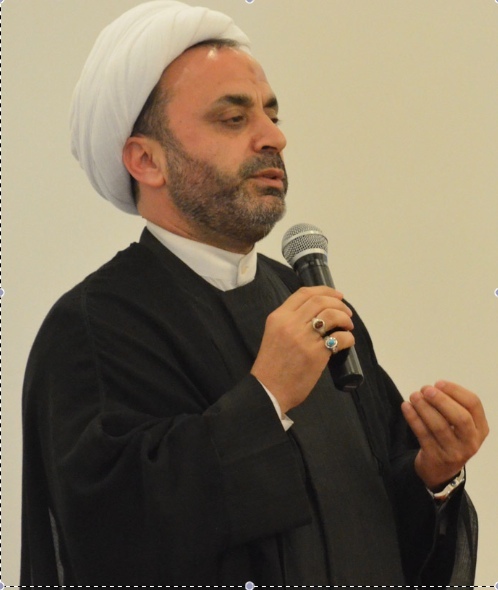 That said, the people who have shared their views within this post are well versed in the Islamic tradition and learning, and they each occupy very influential roles within the Lebanese Muslim community, both Sunni and Shi‘a. Whilst not everyone may agree with everything they have said [and if we are honest with ourselves, each of us seeks to paint the most positive picture of our own religious tradition when communicating to others], what they have said must not be ignored. If this is true, the Muslims I know personally, my friends and colleagues, do not appear to be worshiping the same god as the one ‘worshiped’ by Boko Haram. Thank you very much for taking the initiative to bring forth these three valuable and respected voices. While I find that specific statements like “You will find no Islamic reference or teaching in Islam that supports this” a bit simplistic or reductionist, I think that stating them by Muslim authorities is much needed. What I truly loved the most about this post is your conclusion, Arthur. Thank you very much. Great post, Arthur! This kind of perspective is really valuable. Thanks for using your platform to promote an awareness of the diversity within Islamic teaching. After reading this piece, I couldn’t stop thinking what would be the response of these three respected Muslim thinkers to the case against the Sudanese Christian Mariam Yahia.